I have finally started making videos and sharing one of them from the first batch of videos I shot over at the Altenew blog. 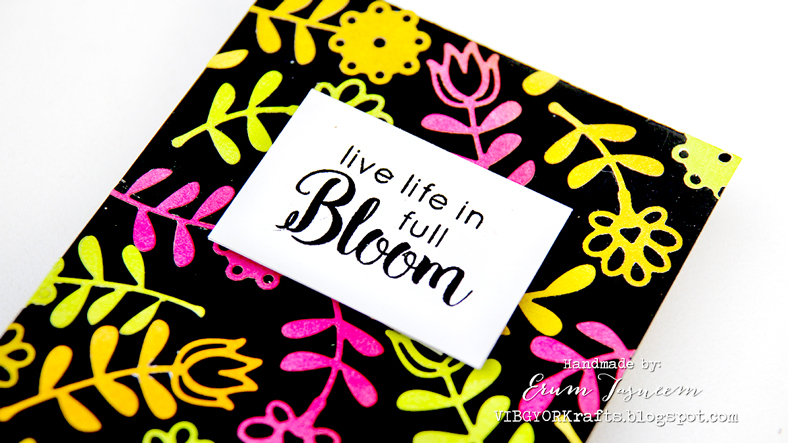 I have a bright new card to share with you where I have added pencil detailing to a stamped image. 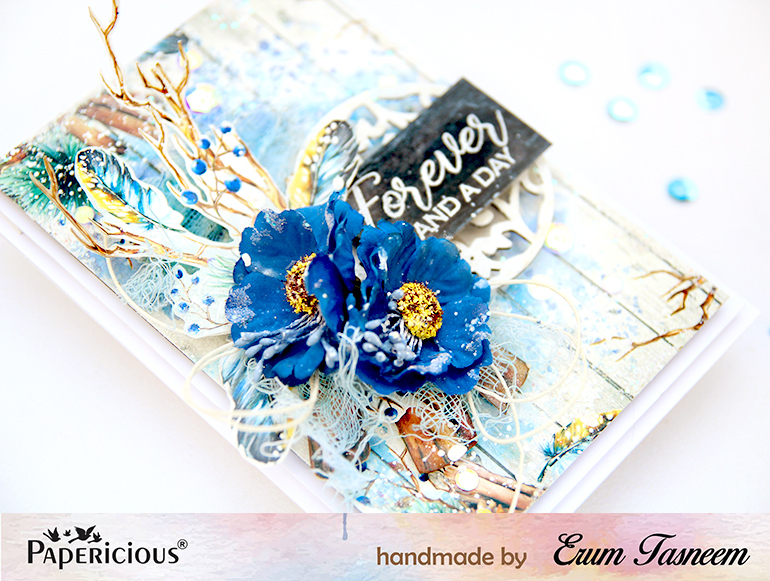 New card over at the Papericious blog. 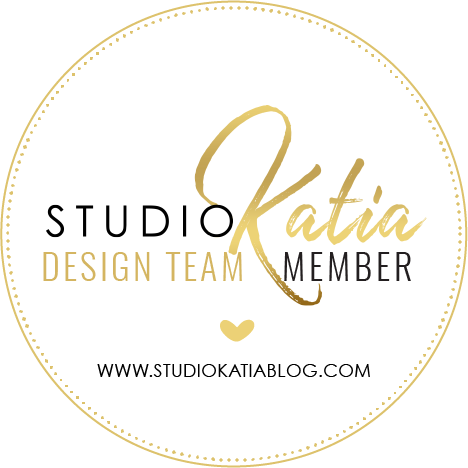 Sharing a new card at the Studio Katia blog! 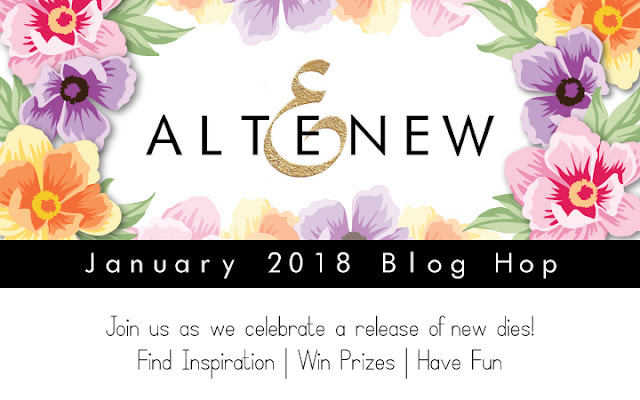 Send an email to winner @altenew.com with the subject title same as mine plus my name by 1/31/2018. 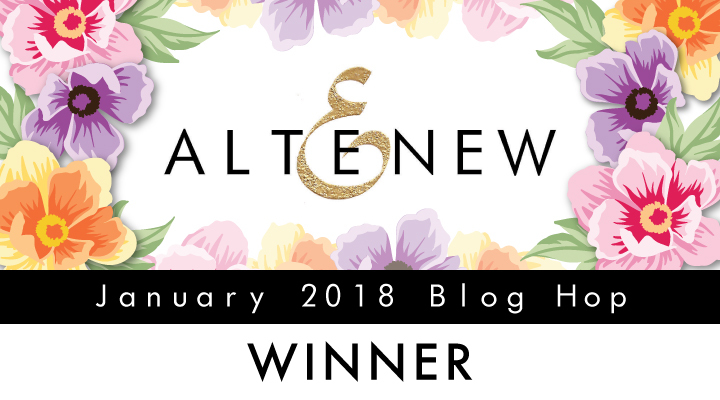 I have a card to share over at the Altenew blog. 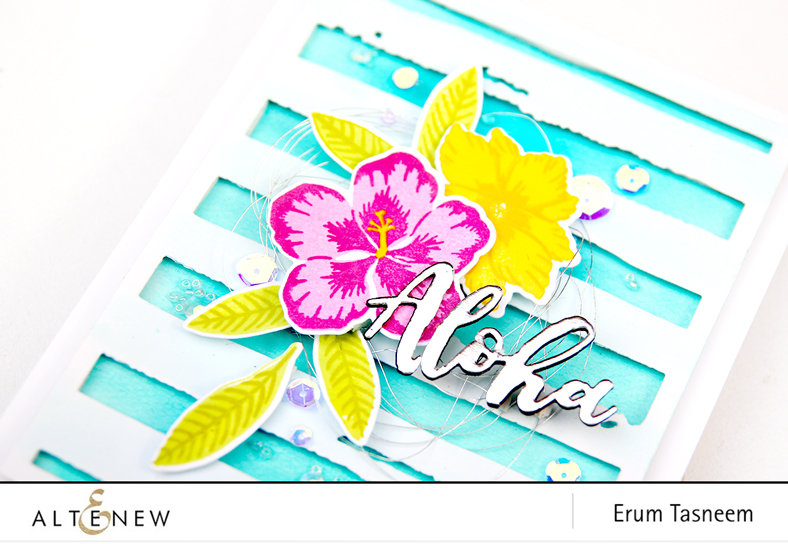 New card to share over at the Altenew blog! Welcome to another totally AMAZEBALLS release! You must be here from the Simon Says Stamp Blog. 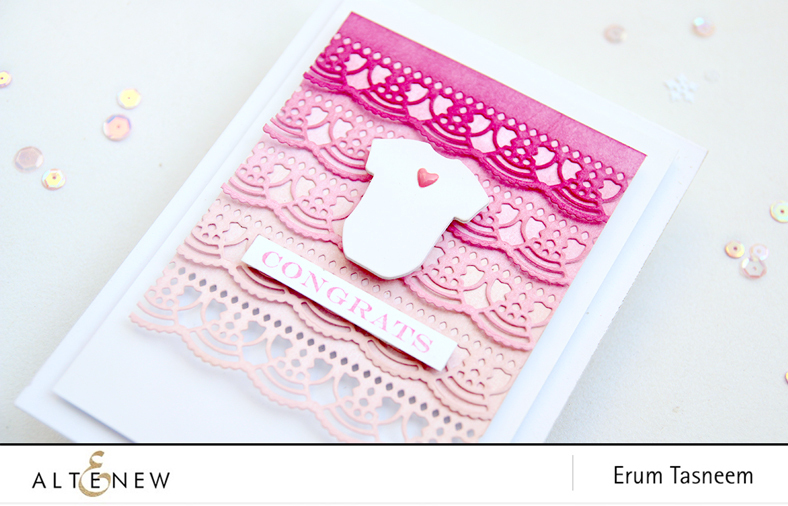 I will be highlighting the Creative Edges: Lace Die and Thinking of You Die in my post today. The second I saw this die, I kneeew I had to create this background or a panel. I have had this idea for a while now and was waiting for the right moment. I die cut the lace edge several times in white. I then inked my laces in the Cherry Blossom shades starting from (top to bottom) Razzleberry, Rubellite, Pinkalicious and Pink Diamond. The baby onesie is from Little One stamp and die set and the sentiment is from Sentiments & Quotes. 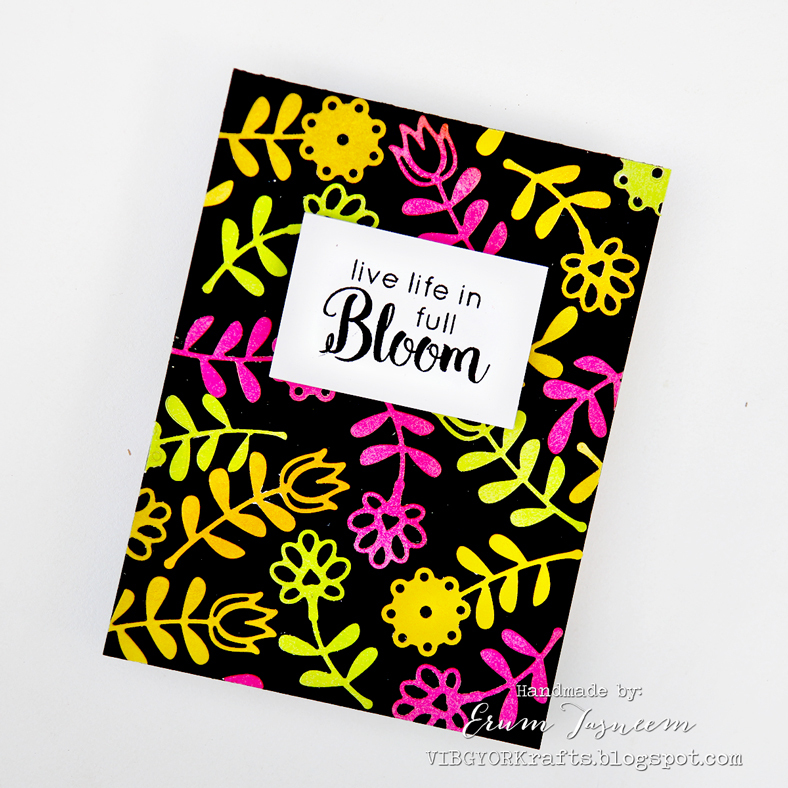 The pink heart is an enamel dot from The New Day Card Kit. You can also purchase the enamel dots separately HERE. I kept this one simple. This die is big and absolutely WONDERFUL! I love big word dies! I kept my background simple watercoloured using Lagoon and Parrot Crisp Inks. I layered my die cut a couple of times and then used a silver mirror off set. You can see the silver more clearly in this photo. 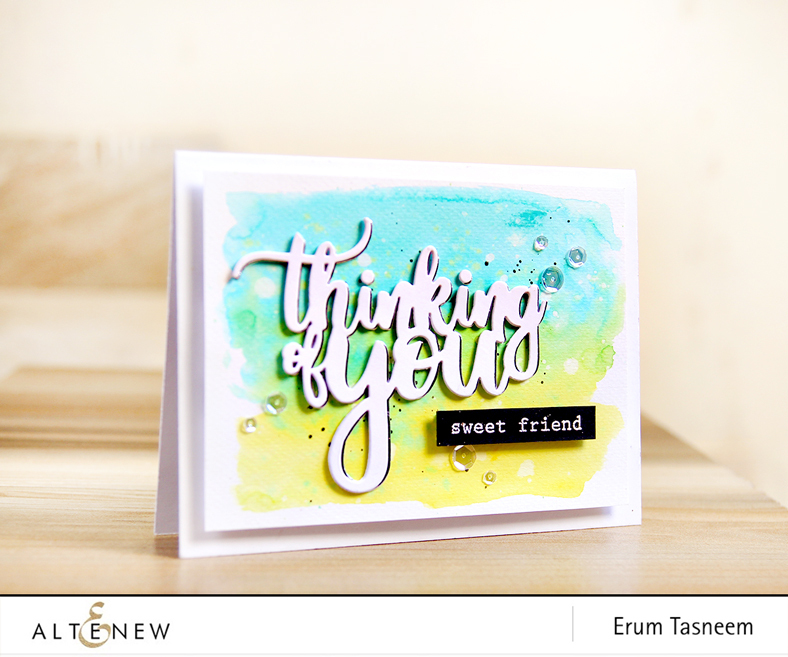 The sentiment "sweet friend" is from Frosted Garden Stamp Set and is heat embossed with Pure White Embossing Powder. In the end I added beautiful Studio Katia Majestic Fusion sequins. On to the good stuff now! I will draw a winner to receive a $30 gift certificate and announce the winner on my blog on 1/16/2018. Thank you so much everyone else for commenting and supporting my work. I will be doing a small giveaway over at my Instagram in a couple of days, don't forget to check it out! 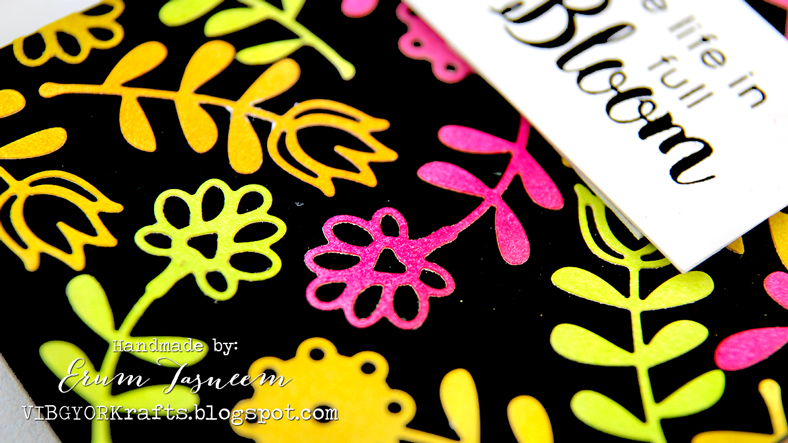 I have a vibrant card to share with you today featuring the new Small Die of the month - January for Spellbinders. 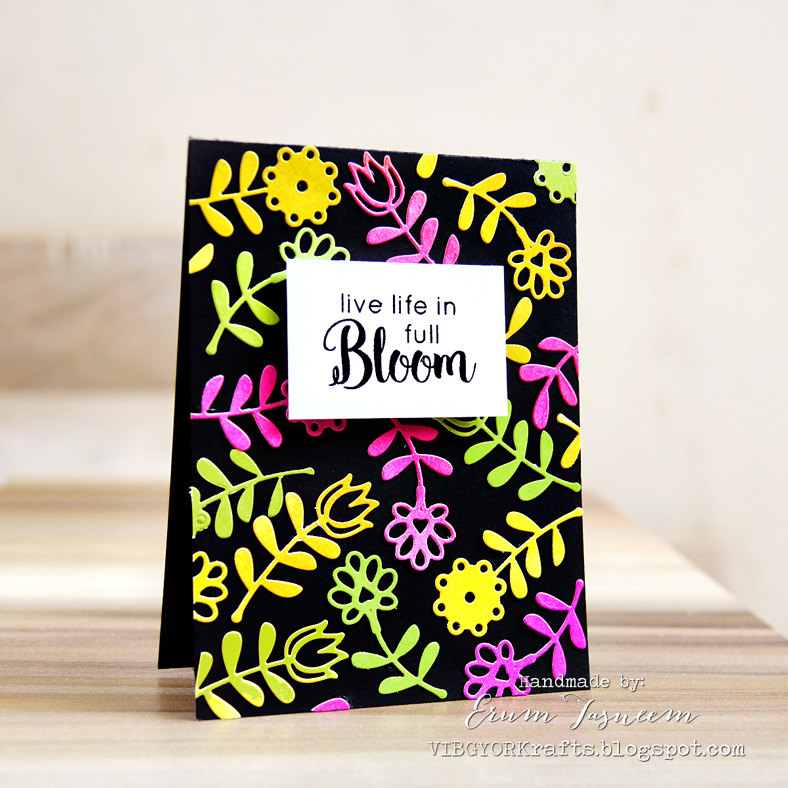 I used the foliage dies for my card today. There is a very cool heart and arrow die in this set too. First I inked up a couple of panels in shaded manner with distress inks. I then went ahead and die cut several of these leaves and flowers. I then arranged the die cuts randomly onto my one layer black card base and cut off the excess from the edges. Since there was already too much going on, on my card, I decided to just pop up my sentiment on the front with foam tape. The sentiment is from Altenew. I am hosting this month's challenge over at the Altenew blog. Hop on over to check out my latest project and do join us!